Welcome to our resource hub for our courses. Below you will find all the pre-reading, as well as bonus resources as they become available. 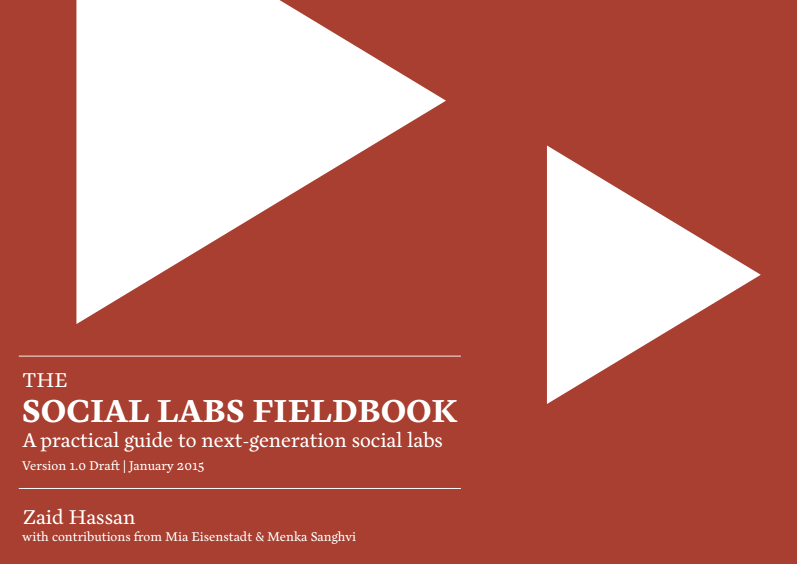 This is a practical and interactive ebook that will guide you in creating and sustaining an effective social lab with passion, precision and purpose. It is packed with insights and experience from leading practitioners in the field. Inside you will find exercises, check­lists, examples and tips. As the wave of complexity sweeps over our societies, the shift from planning based responses to prototyping is inevitable. This is because the planning paradigm is fundamentally unsuited to complexity. Some industries will stumble through this change without realizing that they are part of a pivotal societal shift, while other will be awake to the moment, the opportunity and the scope for a conscious shift. PRE-READING: WHAT ARE SOCIAL LABORATORIES? Chapter 1 of The Social Labs Revolution - an overview of where social laboratories have come from, why they need to exist, and how they're different from 'business as usual' approaches to complex problems. As our world increases in complexity, more and more resources are being directed at addressing challenges such as climate change, public healthcare, inequality and poverty. The success of these efforts however is a function of how effective our strategies are as opposed to simply how many resources we can throw at a challenge. Read pages 21-32. As citizens, change-agents, managers, organizers, activists and entrepreneurs we typically make a decision to play in some form or the other. Sometimes this decision is highly conscious and principled and sometimes we are simply born to a side and grow up unquestioningly accepting our role in the game. This website is curated and managed by Complexity University. Visit complexity.university for more info.